Last Friday shocked us all to learn about the unfortunate passing of Anthony Bourdain. 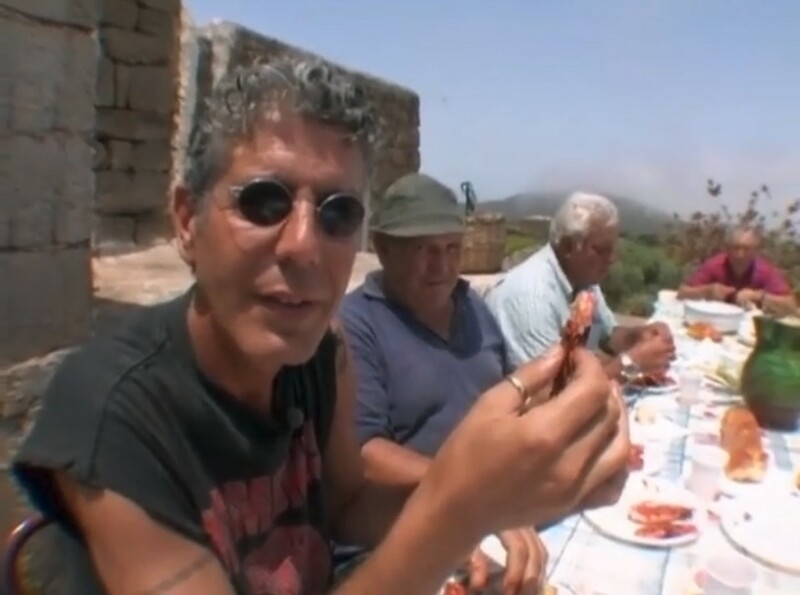 Anthony was a chef, entertainer, adventurer and inspiration to millions of people who enjoyed his travel shows such as Parts Unknown and No Reservation. He had an authenticity and natural warmth that drew us in, whether he was at an open street market in Thailand or exploring the coast of Southern Italy. I have fond memories of binging on Netflix all of his No Reservation episodes where he was in different parts of Italy before a trip I was about to go on to Milan and Padova. Anthony journeyed to Pantelleria, an island in the Strait of Sicily. His destination was a caper farm. Capers are the unopened green flower buds from the caper bush that are salted for 4 months before being jarred. They have a briny, salty and crispe essence that livens many pasta, salad and seafood dishes. Anthony narrated how caper farmers HAND PICK 40 pounds of capers a day! It’s back-breaking work for the farmers, but the “pranzo” or lunch they enjoy midday would be fit for a king. The lunch’s “Primo,” which is the Italian first course that is usually a pasta or rich dish, begins with a homemade tomato sauce made of grilled tomatoes, fresh basil and, of course, capers. The spaghetti and sauce course is accompanied by wine made by the farmers from a huge vat. If that wasn’t enough, next up is the “Second,” the second course or entree that on this day was made grilled local salt water fish, a large tomato-onion-potato-and caper salad and even more seafood delights in the form of grilled prawns. The whole time, Anthony is at ease joking with the farmers, learning from the farm owner about capers and enjoying delicious, local food. It was this authenticity and natural-charm that made him a travelling chef like no other. He made us want to travel the world and try the local food. His TV shows will always be there. And most of all, those moments just like his visit to the caper farms, where he journeyed to foreign lands and brought those moments back to our living rooms, will be his legacy. You will be missed Anthony.